District 22 June Meeting Minutes – Lincoln Nebraska A.A.
Treasurer Report:116.04. Same as April. check on rent paid for the year. · Sunday Night Workshop: attendance up a bit, doing good $, need women to attend, good attendance at business meeting. Kj could do intergroup? · Ladies Big Book: 30-50 attendance had IG need filled. 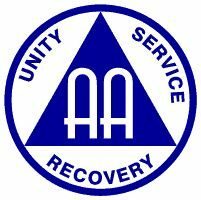 ‹ Happy 79th Birthday AA!